We’re all familiar with cruise control. You press a button, and your vehicle maintains that set speed. This is both good and bad. On flat and level roads, it’s great. But when you hit a hill, the cruise control will do everything to keep that set speed — come hell or high water. This may mean that it downshifts and causes your RPM to skyrocket, while pushing harder and harder to maintain your set speed. A driver’s first reflex is to tap the brake and take back control of the gas pedal. The same is true whenever a driver changes lanes and pulls in front of you only to slow down; again, the brake shuts down the cruise control. Monaco has come up with a cruise control system for its motorhomes that does more… much more. Monaco’s new Safety Cruise system is pretty much a thinking radar. It tracks up to 20 vehicles around you and decides when to slow down in order to maintain a safe following distance from the vehicle in front of you. After a vehicle pulls in front of you and picks up speed, widening the distance between you, the Safety Cruise will once automatically resume your original speed. While monitoring the road up to 500 feet ahead, Safety Cruise is "watching" what the other guy is doing — even in fog or mist when you can’t see that far ahead! That way, any slow vehicle that’s hidden in the fog will be detected, and the motorhome will automatically slow down. Safety Cruise will even activate the engine brake if needed — to keep you from approaching slow traffic too quickly. Safety Cruise is meant to be a safety backup; it doesn’t mean you can completely ignore what’s going on around you. But everyone has been distracted at some point in time. 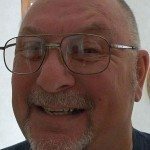 For example, the moment your partner calls from the back of the coach, “Where did you put the extra toilet paper?…” sure enough, some fool will slow down 5 or 6 cars ahead and start a chain reaction. Safety Cruise will see that interruption in traffic flow before you even get your head turned back toward the highway. With both a visible and audible warning, you will know that something is amiss, while your RV is already slowing down in anticipation. Monaco’s Safety Cruise even sees around corners, through blinding snow and fog so thick you can’t see your hand in front of your face. At all times, the driver has the ability to override the system, regaining full control. Safety Cruise will even give you the warning lights and audible beeper even if you’re not operating on cruise control. This would be fabulous when driving on rain slick pavement or ice! For example, when operating in slippery or poor visibility conditions you wouldn’t want to be on cruise control, as any sudden changes to your speed may put you out of control. But it sure would make it less stressful to know that Safety Cruise is watching your back and is ready to let you know there’s an obstacle ahead that you can’t see. Currently, the Safety Cruise system is only available on 3 brands of motor coach. Certain models of Monaco, Holiday Rambler, and Beaver coaches can be ordered with the Safety Cruise installed. Watch Monaco’s video about Safety Cruise. It won’t be too many years into the future before you’ll be turning the job of driver over to a computer completely. For now, it’s good that you can get a little more help from your electronic driving partner, the Safety Cruise system by Monaco. This year’s runaway winner was Mrs. Merv Grazinski of Oklahoma City, Oklahoma. Mrs. Grazinski purchased a brand-new, 32-foot-long Winnebago motor home. On her first trip home from an OU football game – having driven onto the freeway – she set the cruise control at 70 mph and calmly left the driver’s seat to go into the back to make herself a sandwich. Not surprisingly, the RV left the freeway, crashed and overturned. Mrs.Grazinski sued Winnebago for not advising her in the owner’s manual that she couldn’t actually do that. The jury awarded her $1,750,000 plus a new motor home. The company actually changed its manuals on the basis of this law suit, just in case there were any other complete morons around. 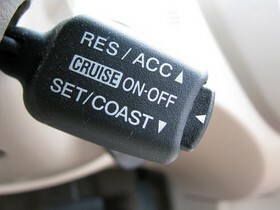 Are You Saving Gas By Using Cruise Control In An RV?